A gorilla trekking safari to Rwanda can be the most rewarding especially in the volcanoes National park which is considered to be the most famous national park in Rwanda. Visitors who come to this park have always said that these gorillas come close to human beings and start interacting with them. The gorillas are found in the most mountainous areas in Rwanda and the park is located in the north west of the country, bordering Uganda, where these wonderful gorillas can be trekked in Bwindi Impenetrable National Park, which is a dense forest with thick leaves and trees. In Congo, these mountain gorillas can attract safaris with the Virunga Mountains. The experience of Rwandan mountain gorillas since , the trek provides with adventurous reviews of the volcanoes national park which not only harbours mountain gorillas but also other wild animals; like the elephants, snakes, monkeys were you can also take golden monkey trekking, and many other activities; like the nature walks along the village trails. 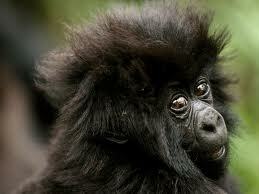 This has not only increased gorilla safaris to Rwanda, but also wildlife safaris. Inside the park, there is also mountain climbing and getting exposed to the volcanic features with in the park, the presence of plant species / tree species is also another interesting attraction with in the Park. These mountain hikes take approximately3 to 4 hours, which provides the tourists ample time to trek the next day. All these activities are in addition to mountain gorilla tracking in Volcanoes national park. Mountain gorilla conservation has been promoted in Rwanda and this has tried to encourage responsible tourism in managing gorillas, this has helped in improving the numbers of mountain gorillas and also increasing gorilla safaris to Rwanda.